Manila-Acapulco Galleons or Manila Galleons are ships made of renowned Philippine hardwood, as long as 160-feet long, up to 2,000 tons and can carry a thousand passengers. Cavite in Manila Bay, was the largest shipyard building Manila Galleons; others were built in Sorsogon, Marinduque, Masbate, and Camarines. Only eight out of a hundred plus of these galleons were made in Acapulco, now Mexico. For 250 years, Manila Galleons sailed once or twice a year across Pacific Ocean between Manila to Mexico carrying spices, porcelain, silk clothing etc. These goods are then traded to American, European and East Asian markets. Manila used to be one of the world’s greatest ports during the Manila Galleon days and aboard these ships are people from Manila who became the first Filipinos in America. 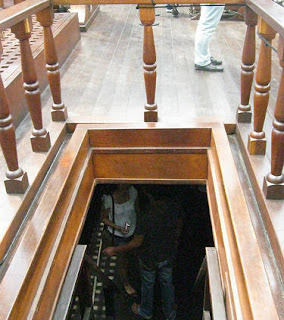 “San Pablo”, the first Manila Galleon, was under Fr. Andres de Urdaneta, who used only a compass and his wind & tide navigation knowledge for sailing. It was him who discovered the shortest route back to Mexico through north of Cebu. Because of the 129-day duration and immature guidance of the 15-year old Captain Felipe de Salcedo, most of the crew died before reaching to Mexico. Having said that the Manila Galleons were a hundred plus more and very indispensable part of maritime history, why not much of their accounts were told? Aside from the “Concepcion” and “Santissima Trinidad” galleons, where are the rest? It is believed that a number of Manila galleons were wrecked because of the strong winds, inadequate knowledge in early seafaring days or encounters with foreign pirates. October 2009, UNESCO recognized Manila Galleons’ part in the globalization of trade and cultural exchange and declared 8th day of the same month as the International Dia Del Galeon (Day of the Galeon) to promote understanding of the impact Philippines contributed to the world trade history. It was the Mexican War of Independence in 1815 that ended galleons from sailing permanently. Histories of Manila Galleons are seldom talked about in our local TV shows, nada in movies! A challenge is thrown to the historians, media, directors and private individuals to share what they knew and share to the young ones maybe through a documentary film or so. Few wrecks have been found so far of these within the Philippine archipelago because of two reasons: either it sank in the deep, hard to explore waters or the Philippine law discourages active exploration of these historic wrecks. 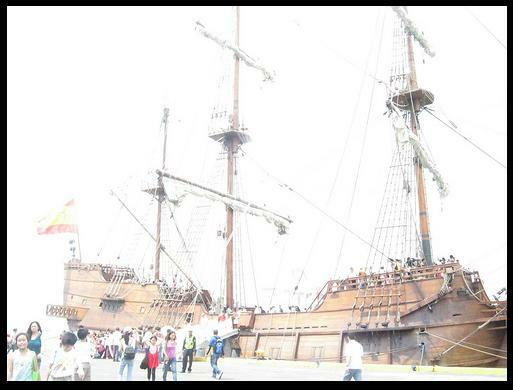 Below are the pictures from a replica of Galleon Andalucia from Spain which docked for 5 days in Pier 13, South Harbor Manila.